Milwaukee Bucks forward Khris Middleton has been selected as a reserve for the 2019 NBA All-Star Game, the NBA announced today. This is the first-career All-Star selection for Middleton who will join teammate Giannis Antetokounmpo at the 2019 NBA All-Star Game in Charlotte when it tips-off from Spectrum Center on Sunday, Feb. 17. 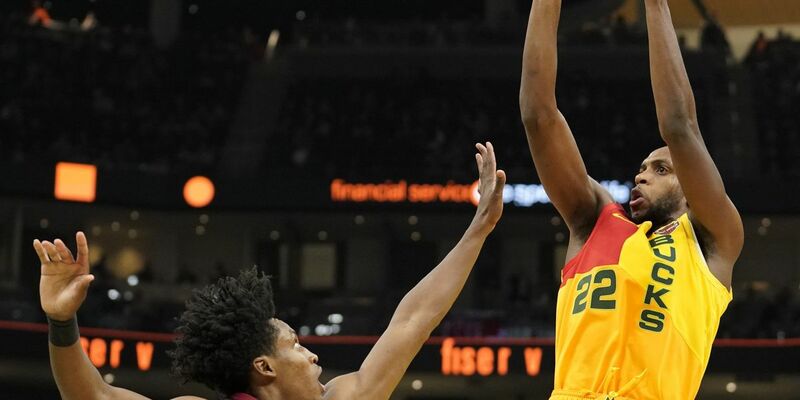 In his seventh season, Middleton, Porter-Gaud alum, is averaging 17.3 points and 5.7 rebounds per game (both the second-highest averages on the Bucks) in addition to 4.2 assists and 1.1 steals per contest, helping the Bucks to an NBA-best record of 36-13. He’s tallied 16 20-point games this season and is one of only five players in the Eastern Conference averaging at least 17.0 points, 5.0 rebounds and 4.0 assists per game this season. Antetokounmpo and Middleton are the first Bucks duo to be selected to an All-Star Game since 2001 when both Ray Allen and Glenn Robinson represented the Bucks. This is the 13th time in franchise history that Milwaukee has had multiple All-Stars. NBA head coaches selected the reserve players for the All-Star Game. Middleton will find out what team he will play on for the 2019 NBA All-Star Game when Antetokounmpo and Los Angeles Lakers forward LeBron James draft the rosters for “Team Giannis” and “Team LeBron” from the pool of All-Star starters and reserves on Thursday, Feb. 7. The draft will be televised on TNT beginning at 6 p.m. CT.